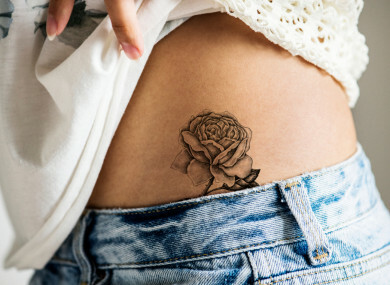 FIANNA FÁIL HAS introduced legislation that would ban tattoos and intimate piercings for people under the age of 18. The bill was brought forward by Mary Butler TD who said that “getting a tattoo is a lifelong decision” and should only be made by adults. Many tattoo parlours enforce this rule themselves but the legislation would make it illegal not to. Butler also argued that intimate piercings could lead to health issues. Ears, noses, navels and eyebrows are not covered by the legislation. But is it a good idea or is it a case of being over-protective of children? Email “Poll: Should tattoos and intimate piercings be banned for under 18s?”. Feedback on “Poll: Should tattoos and intimate piercings be banned for under 18s?”.